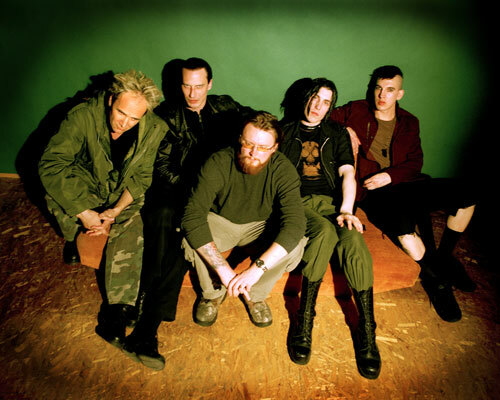 Front Line Assembly (FLA) began in 1986 when Bill Leeb, decided to part company with Canadian Industrial pioneers Skinny Puppy under alleged controversial circumstances and set out of his own musical quest. Whilst Bill trading under the pseudonym Wilhelm Schroeder had real little influence in Skinny Puppy, it was a place where he learnt his trade and saw the germination of some of the ideas that would form the backbone of FLA. Following two self released demo tapes ‘Total Terror’ and ‘Nerve War’, FLA debuted in 1987 with their first album ’The Initial Command’. On this album Michael Balch joined Bill with help from a young Rhys Fulber on several tracks. The FLA sound fitted in snugly with the burgeoning European EBM scene as well as the growth of the American Industrial scene, with it’s combination of heavy beats, complex layered melodies and harsh distorted vocals. However things were about to change as FLA decided to move on to a more dance floor friendlier arena with the release of their next album ‘Gashed Senses and Crossfire’ (1989). 1989 also saw the first of many FLA side project .This year also saw the release of the rare ‘Live’ album, the departure of Michael Balch, and the full time employment of Rhys Fulber. If ‘Gashed Senses’ had seen a step forward for FLA then its follow up ‘Caustic Grip’ (1990) was FLA running into the cybernetic future. ‘Caustic Grip’ saw FLA adding a highly complex mesh of sounds to beats that threaten to tear the world apart. The singles ‘Provision’ and ‘Iceolate’ were FLA trump cards receiving singles of the week in Melody Maker and Sounds and trampling over all FLA’s Industrial dance rivals. Electronic music had never sounded so heavy and complex before and yet still maintaining it’s structure.. The next release FLA release was 1992’s ‘Tactical Neural Implant’ (TNI), which again saw FLA pushing their sound forward. ‘TNI’ saw Bill and Rhys adding elements of the techno sound that they had experimented with on the ‘Intermix’ album. Gone were the heavy beats of ‘Caustic Grip’ replaced with hip-hop and techno influenced rhythms. ‘TNI’ is an album of sublime vision that conjures up images of the cyberpunk dystopia of the writings of William Gibson and the film Bladerunner. The new album ‘Millennium’ was released in 1994 and once more the FLA sound had mutated. This time and a big shock to many FLA fans, the band had added heavy guitars to the mix. Guitar riffs from Slayer and Pantera along with live guitars fro Devin Townsend where added to FLA’s pummelling technoid beats and sweeping strings to great a monster of an album. 1995 bought the next FLA album in the shape of ‘Hard Wired’, which saw FLA combining the guitar elements of ‘Millennium’ with the cyberpunk sound of ‘ Tactical Neural Implant’. The release of ‘Hard Wired’ was met with a world tour by the band which was captured on the ’Live Wired’ CD and Video box set (1996). ‘Hard Wired’ was also met by the release of a ‘Remix Wars’ album (1997) where FLA and German Industrialists Die Krupps remixed each other’s tracks. The period following the release of ‘Hard Wired’ was also another busy period. Rhys announced he was to leave and concentrate on production and later his own project Conjure One. FLAvour of the Weak’ (1997) , saw FLA combining the more break beat and techno influences of their Pro-Tech and Equinox side projects to their sound. IN 1999 FLA released the album ‘Implode’ which while not as groundbreaking as ‘FLAvour’ saw FLA consolidated their position as one of the leading forces in the world of Industrial music. ‘Implode is one of those albums that demands repeat listening to really appreciate the sonic depths. The rumour wheel had revealed that ‘Epitaph’ (2001) would be FLA’s last album. ‘Epitaph’ is a storming mix of ‘FLAvour of The Week’ style break beats with a hint of Deleriumesqe melodies. Once again re-united as FLA, Bill And Rhys released a killer single ‘Maniacal’ (2003) as a precursor to the new album ‘Civilization’ (2004) and the sighs of relief amongst FLA fans were audible across the globe. ‘Maniacal’ is good old-fashioned FLA.. The new album ‘Artificial Soldier’ was released in 2006. 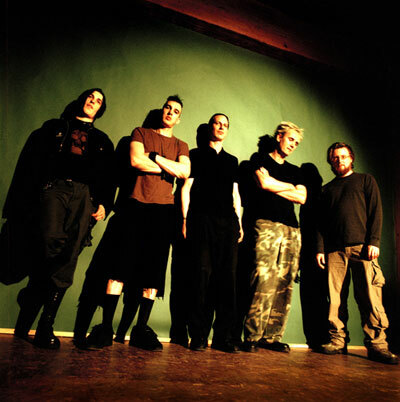 By April 2007, Front Line Assembly released a remix album titled Fallout. The album was released in a 4-panel digipak and featured three previously unreleased tracks ("Electric Dreams," "Unconscious," and "Armageddon") and nine remixes by several other Industrial acts and names. After the release of the remix album, the band went out to tour North America and Europe. In 2010, Front Line Assembly released a new single and album. The single, Shifting Through The Lens, was released May 28, 2010. The album, Improvised Electronic Device, was released on June 25, 2010 along with a deluxe edition featuring two extra tracks (only available as a digital release). As described on Dependent Record's website, the album is described as "stronger and more danceable" when compared to previous releases. "Angriff", the second track on the album, is further described as "wandering on metal paths reminiscent of Rammstein.